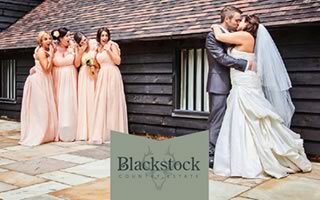 If a country escape wedding in a beautiful barn is your idea of true romance, Blackstock is perfect for you. 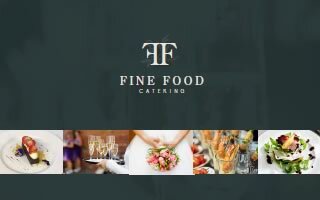 Our catering partners, Fine Foods Catering, can create a completely customised menu to suit your taste and budget. 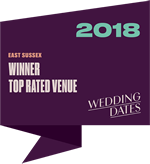 Blackstock is a breathtaking country wedding venue in Hellingly, conveniently close to Brighton and Tunbridge Wells. Overlooking our grounds are two beautiful restored barns, The Tudor and The Granary. They can be hired separately, with access to the grounds, or taken together for exclusive use of the entire estate for your wedding. Both barns are set amongst our 70 acres of scenic farmland and enjoy stunning views of the South Downs. Within, they are tastefully decorated and can be easily adjusted to suit your theme. Guests can easily stroll in and out, exploring the meadows and woods at their leisure, enjoying a drink on the patio areas under the stars or taking part in the festivities inside. As well as providing the perfect venue to hold your reception, we are also licensed to hold civil partnership and wedding ceremonies for up to 180 of your guests. If you would prefer to hold the ceremony elsewhere, with the reception at Blackstock Farm, we are conveniently located close to the church of St Peter and St Paul. If you have any special requirements for your ceremony, then let us know. We will endeavour to accommodate any wish that you may have, so as to make your ceremony extra special and personal for you. Blackstock is available for exclusive hire. Both barns, grounds, gardens and the children’s play barn are for the sole use of the wedding party for the day. 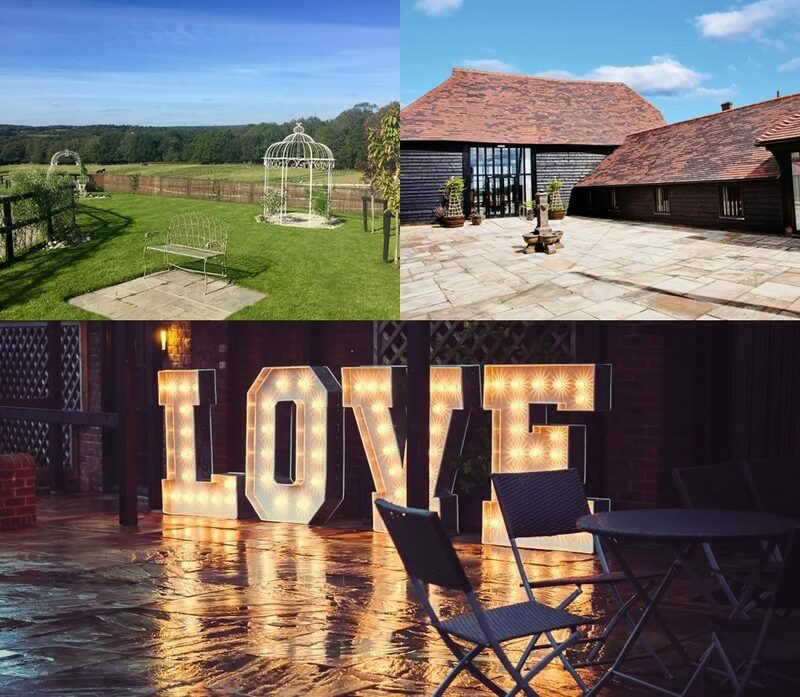 Although it is possible to hire only one barn, utilising both barns adds that extra sparkle. 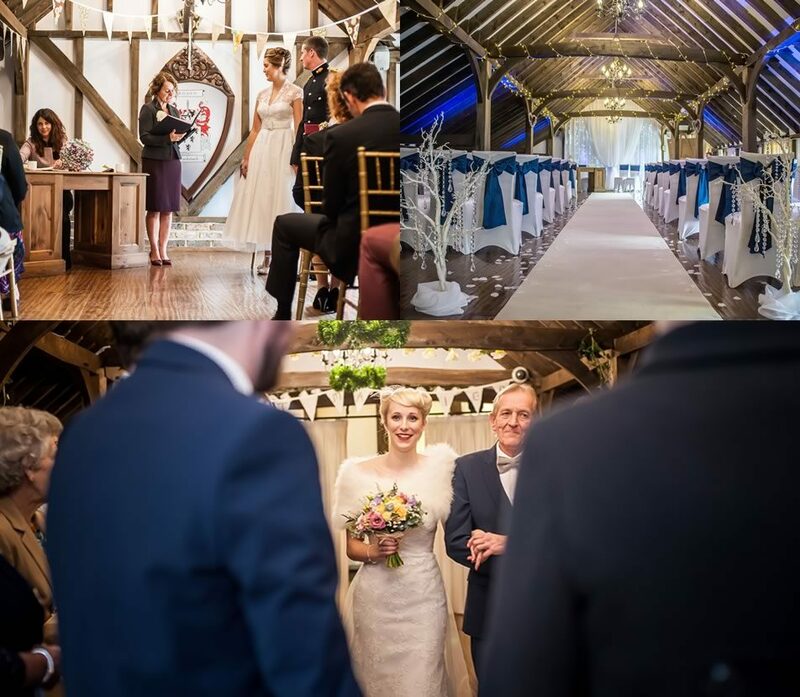 Should you decide to book both of our beautiful barns, The Tudor Barn and The Granary, we will offer you exclusive use of Blackstock from 11am on your wedding day, with access from 8am. This means that the only people within the grounds, other than our staff, will be here at your request! 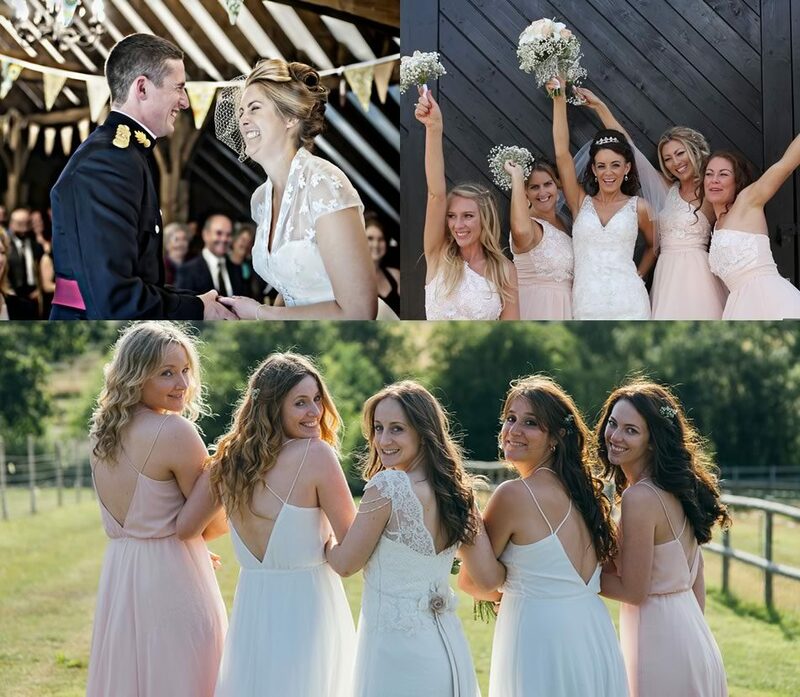 You will benefit from exclusive use of our barns, the wedding courtyards and 70 acres of beautiful farm land with lakes and woodland, bordered by the River Cuckmere, ideal settings for your wedding photos. Also any little treasures attending your wedding can let off steam and enjoy exclusive use of our indoor soft play and outdoor play areas. With over 70 acres of picturesque grounds including meadows, lakes, bluebell woodland and the Cuckmere river, Blackstock has much to offer. With a view of the Weald and the South downs National Park you are truly spoiled for choice for your wedding photographs! Guests will also have the opportunity to explore and enjoy our grounds and facilities, exclusively when both barns are booked for your wedding. These include beautiful walks around our lakes or through our bluebell-carpeted woodland and down to the Cuckmere river, boasting rainbow and brown trout, that meanders through the valley. Blackstock boasts a whole barn dedicated to having fun for your younger guests! Children will be able to take full advantage of our extensive outdoor and indoor play areas. Whether it’s the climbing frames, swings, slides or the impressive indoor two storey Soft Play Barn, all will keep them entertained throughout the day.